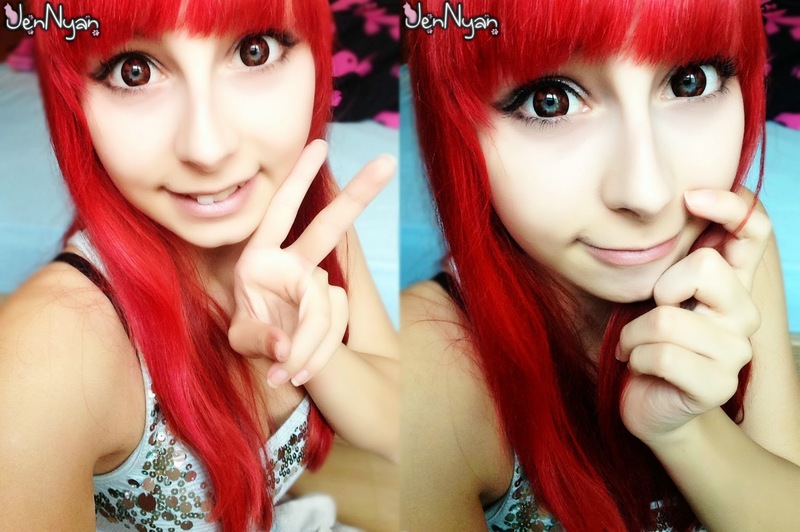 Circle Lenses sponsored by Uniqso! Even my blue isn't visible on the brown tone - only in the mid, but that's normal. 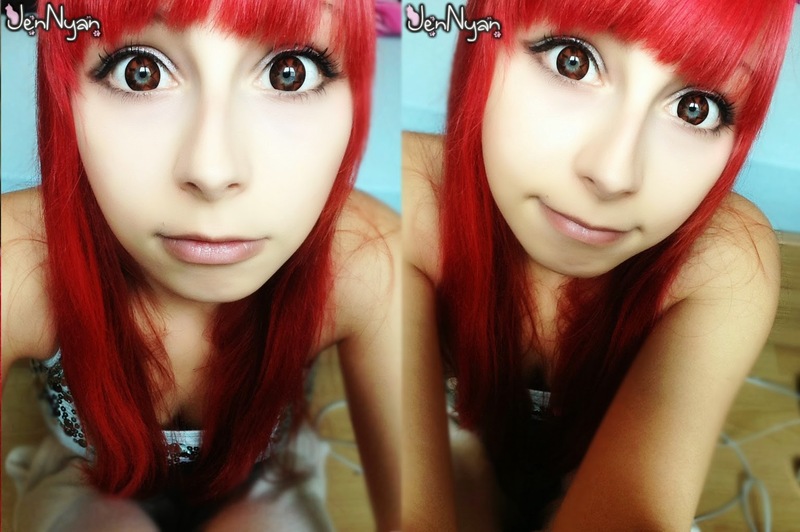 I like these lenses very much, I didn't know how I'd look like when I have brown eyes, but now I know. ^-^ I even thought it would be a problem with the flower on them, but if you don't look that close, you won't see that flower - only if you look closely at them. Shipping and package quality was as nice as always, just take a look at my first review for Uniqso, there are more details. Let's take a look at some pictures! Comfort is perfect, I didn't feel anything, even when they were bigger than other lenses I've tried. Just as always very nice packaged, they were shipped on 10th September & arrived on 23th September! 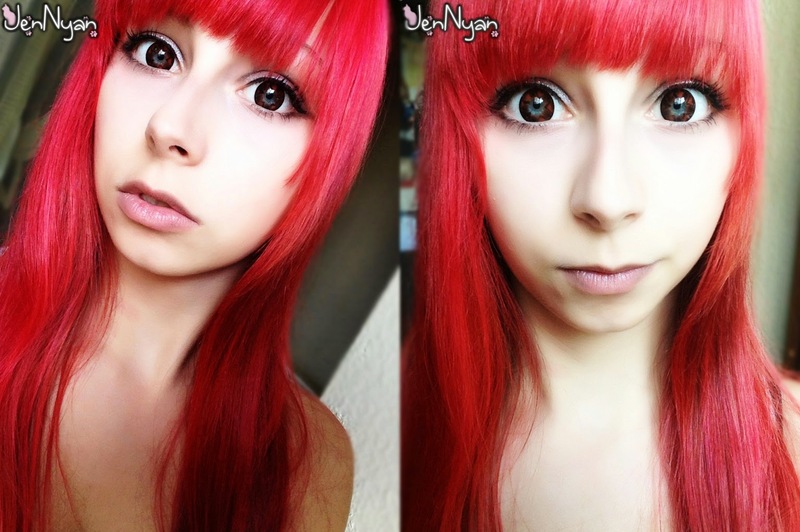 Very cute Circle Lenses with a soft rose color *-* I wonder how they'll look on my bright blue eyes! Aww; just look at them! Aren't they lovely? 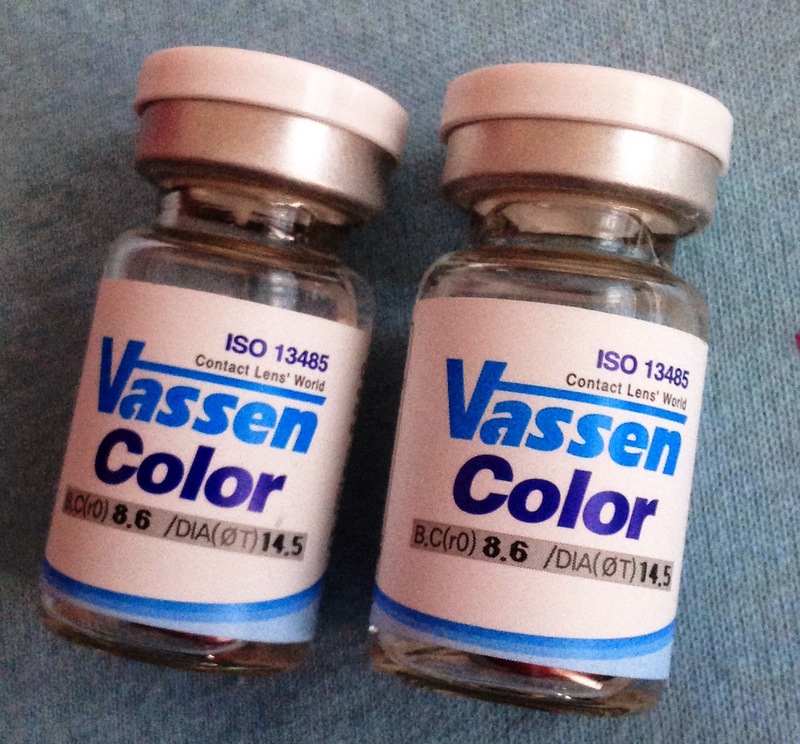 >3< Now I really need to put them in my eyes!! 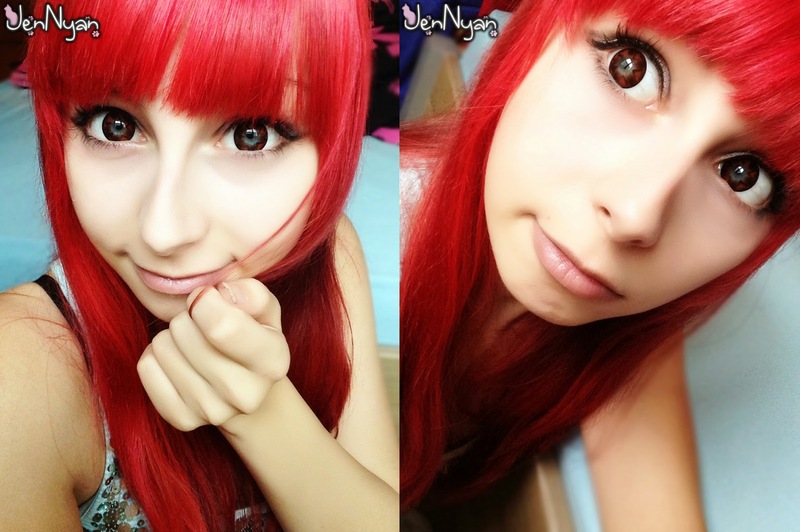 They are really nice in enlargement, my eyes are looking much bigger, the diameter is 14,5mm! The communication with UNIQSO is also very nice, they are answering in less than 24 hours and are always very kind! Very nice, soft and lovely rose color - just like the original picture showed! Perfect comfort, I didn't feel anything after the very first seconds I had them in. :3 I wore them for 5 hours, even with make-up, no problems at all. So, let's take a closer look at them. It's a very nice color, it seems like a dark pink/a strong red. In the package were the lenses (very well packaged), a nice lense case and something like a hairslide. The left one is the outside, the right one is the inside. 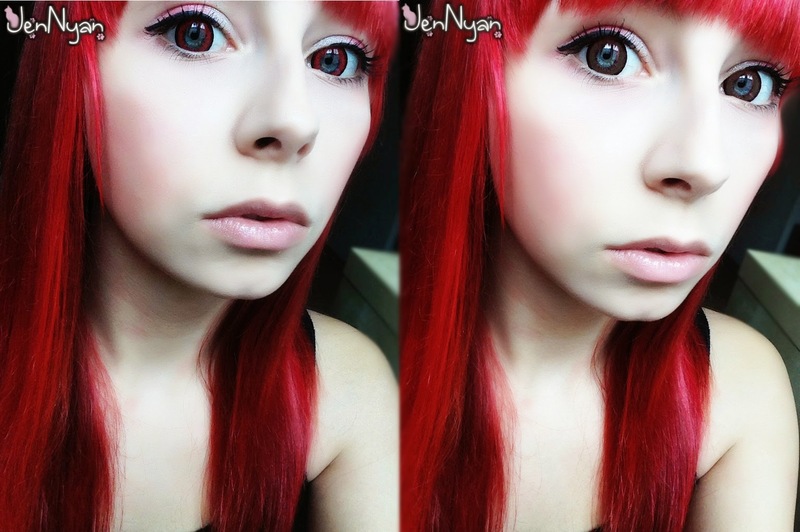 At the beginning I had some problems to put them in, because they are very soft and I'm a beginner at Circle Lenses. I thought red may look a little bit creepy, but no, it doesn't. When I got them in, they felt a little bit like sand in my eyes.. I had to take them off and put them on again, 2 times, but maybe it was just some dirt. I wore them about 2 hours, after about 20 minutes I don't have felt them anymore. 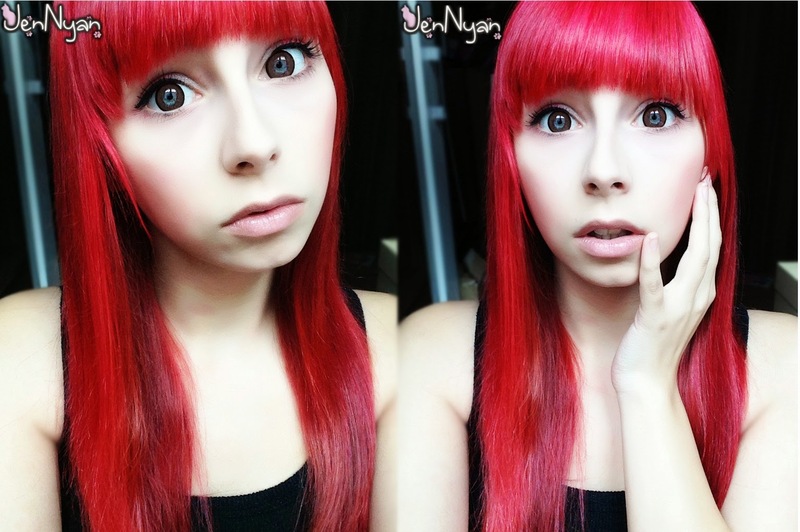 If you are looking for great red Circle Lenses which aren't that shocking - take these. I had to change them sometimes to get that sand feeling off my eyes. Also it took some time to become accustomed with them. But later everything was fine! 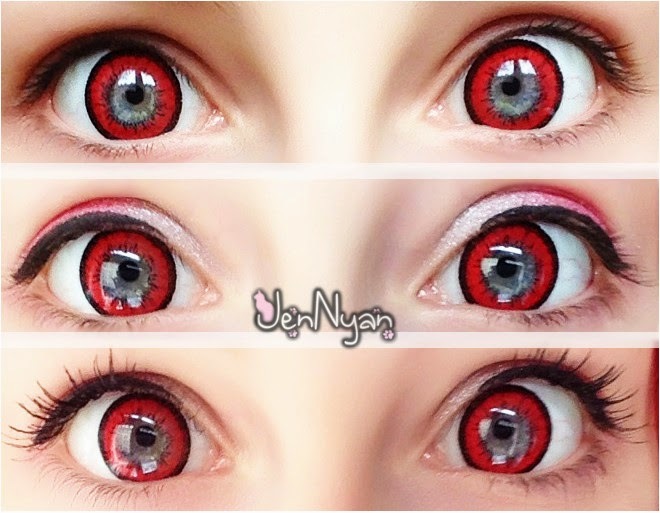 They are enlarging eyes with the 14,5mm dia very nice, perfect! It was packed very nice, I've got nice extras and it took only 15 days to arrive!